Whilst Christmas is the most wonderful time of the year sometimes things all get a little OTT and before we know it we're stressed out racing around getting gifts galore. The pressure to say yes to everything and get everyone lovely gifts can really start to take its toll on your well being and your wallet. In an attempt to avoid this happening this year I wanted to share with you three links that I've found over the last couple of weeks that are simple, thoughtful gifts and DIYs. I've even thrown in a little freebie print at the end for you from my shop Kelanjo Designs. Remember to take it easy on yourself over the next few weeks, slow down and enjoy the festive season. DIY Scandi Style Wrapping Paper. This is right up my sheet and totally free! I found this lovely little freebie whilst scouring for gift wrap ideas. 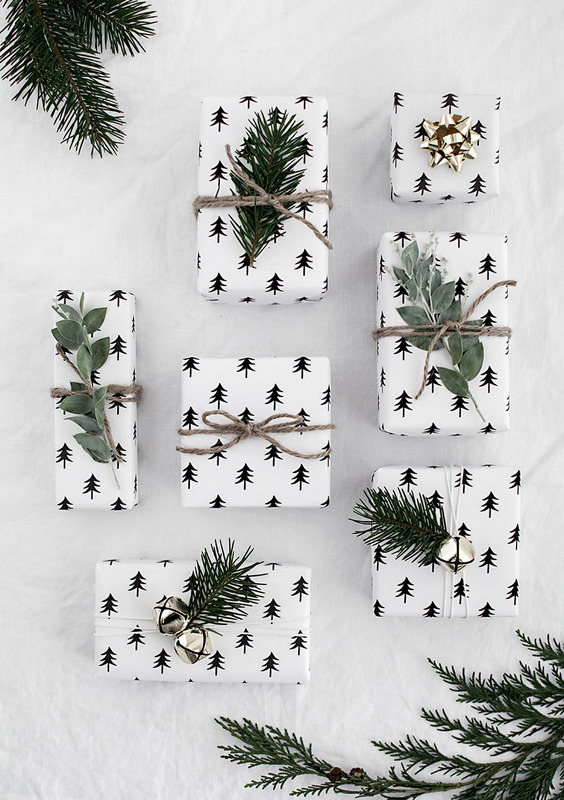 This minimalist scandi chic wrapping is totally my vibe and will be a different twist on your traditional christmas wrap. I'm going to print a load out on A3 paper and go wild. 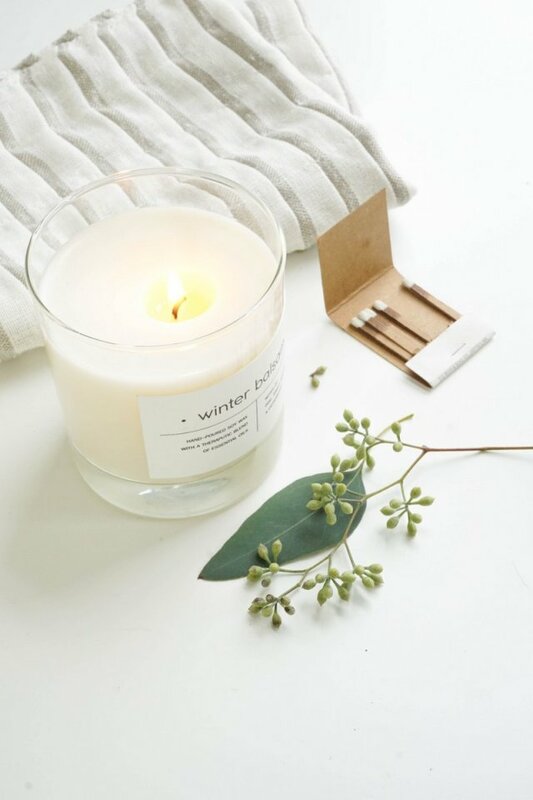 This looks ridiculously easy to do and looks really pretty, there is even a download included for the label. I think this would work really well if you made a big old batch of them to give to your loved ones this christmas. Home made gifts like these keep costs down and are a special touch because of the thought behind it. I really want to make some of these for myself. 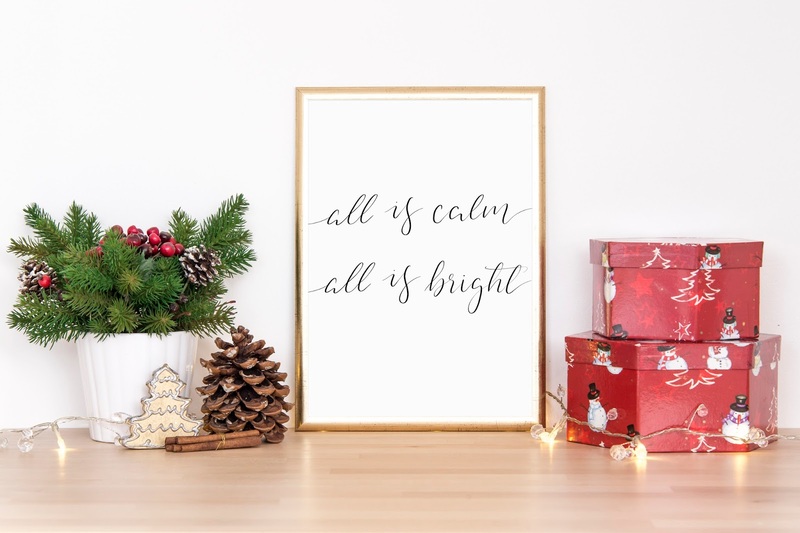 Free All is Bright Christmas Print. I thought in the season of giving I would play my part and share a little gift of my own. This is a special free downloadable print I made just for you. All you need to do is download the file and print it out. You can pop this is frame or clip it up with a bulldog clip, give it to someone as a gift or even save it to your phone as a background - use it however you please. I hope you love these links as much as I do!